1. Infrared reflection probe into paper: Non-contact infrared reflection probe into the paper is an effective solution to the scratch of paper and printed products. The performance is more attractive. 2. 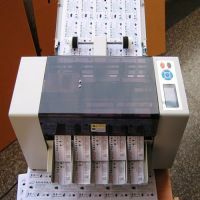 Large Chinese LCD, displaying various parameters dynamically and 10 computer self-test functions: Independent keyboard design. Set up with a number of menus to detecting. Simple operation. Features at a glance. Easy-detected menu which can detect adding ink and water, up and down pressure, electromagnetic platform Valve, main motor of the 10 self-test functions and so on. Self-inspected thoroughly so that you know about your machine thoroughly. 3. 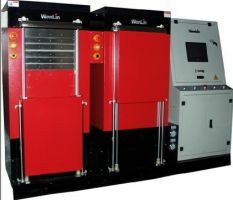 Dual-reversing, dual-plate features: Dual-reversing. 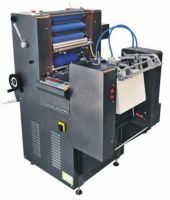 Providing ink twice when feeding (that is, the roller circle 2 to send a sheet), which can solve the problem of full-colored ink printing perfectly. Dual-plate-roll ensures to deal with reticulate pattern comfortable. 4. 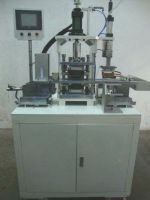 Patent of quick transfer, in one step: Patent of quick transfer, making the print contraposition more simple, efficient and convenient. 1) High speed with 9000 per hour. 2) New customized electromagnet, faster, have been effectively resolved by the end of the phenomenon (with the back of dirty), to ensure that no blank in the first and last sheet and to reduce waste and improve efficiency. 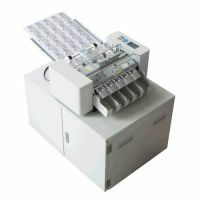 3) Intelligent improved procedures ensure that the first goods of digital sets printing are error-free. 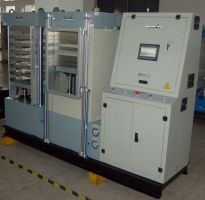 4) New housing molds, results of mass production, fine appearance, anti-static, anti-paint dropping. 5) The fine-tune design meet High-precision printing requirements. 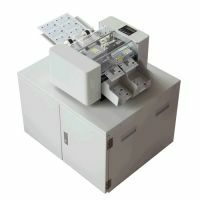 6) 90W high-power electric, ultra-high-power electromagnet to ensure adequate power and the imprint of dermatoglyphics paper . 7) High hardness and high-quality nylon stick wear soft roller to ensure durable. 8) "Condit" Blanket imported from Germany to ensure that the network pot reappears and improving the rate of pulling away from paper better. 9) Synchronous belt drive, overprint more accurate, less noise, more stable function and low friction.